Our current teaching series is Babylon A.D. And we are learning that we live in a modern-day Babylon. Just like in ancient Babylon, Daniel and the 3 Hebrews boys needed each other to not only survive but to thrive. The same is true for us in modern-day Babylon. In response to that need, we are launching 60 Days of Community from October 17th through December 15th to help promote the fellowship and community that we need together in the body of Christ. 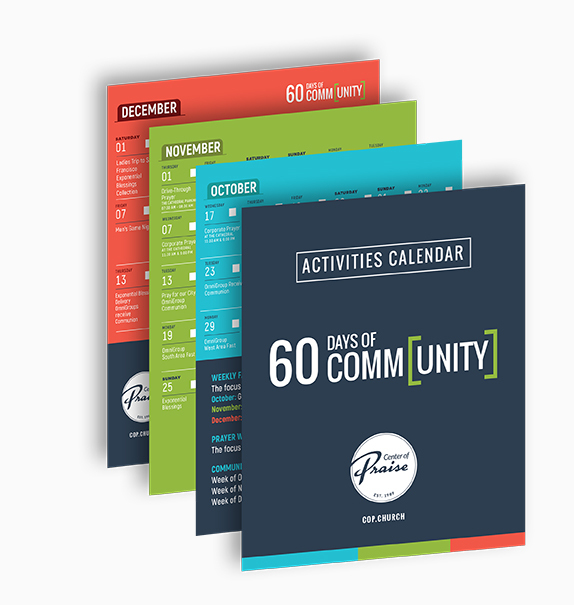 The 60 Days of Community is filled with opportunities to connect and serve in our community.